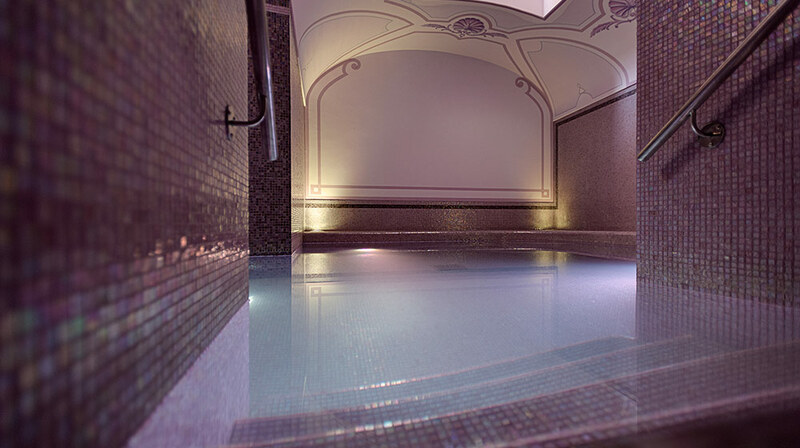 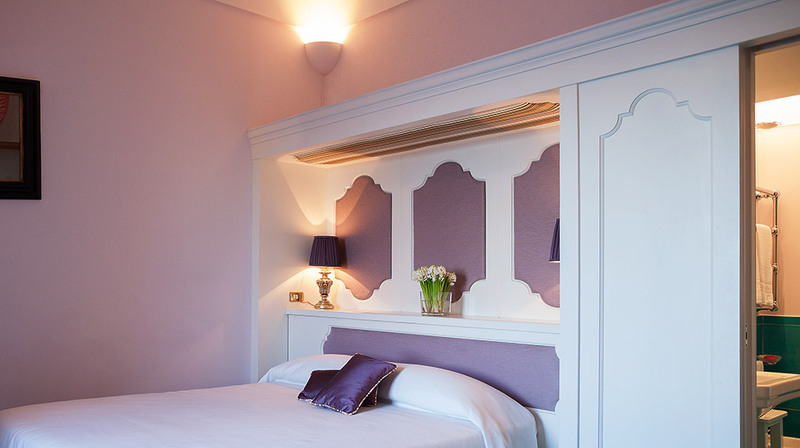 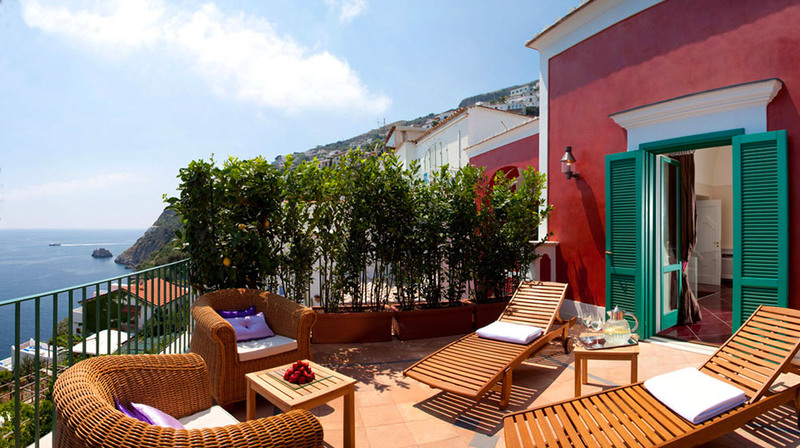 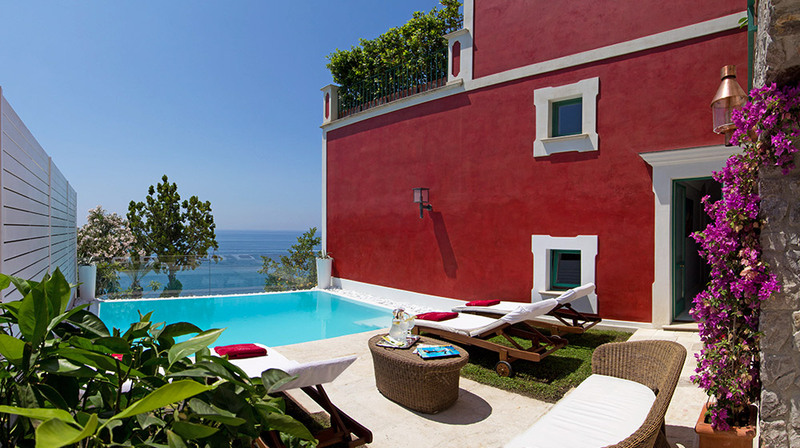 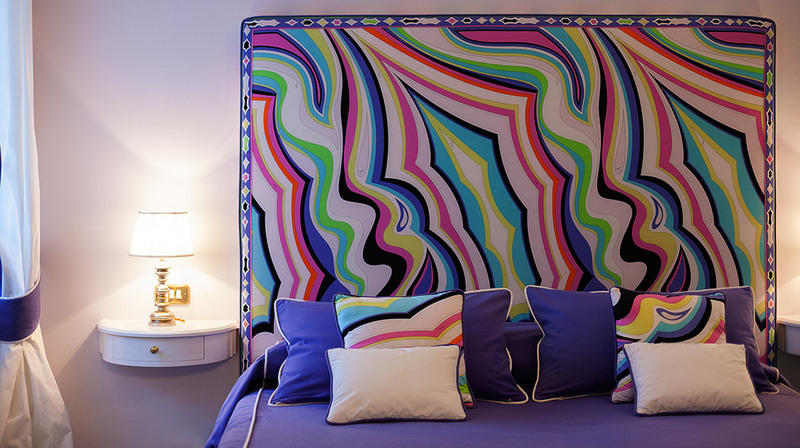 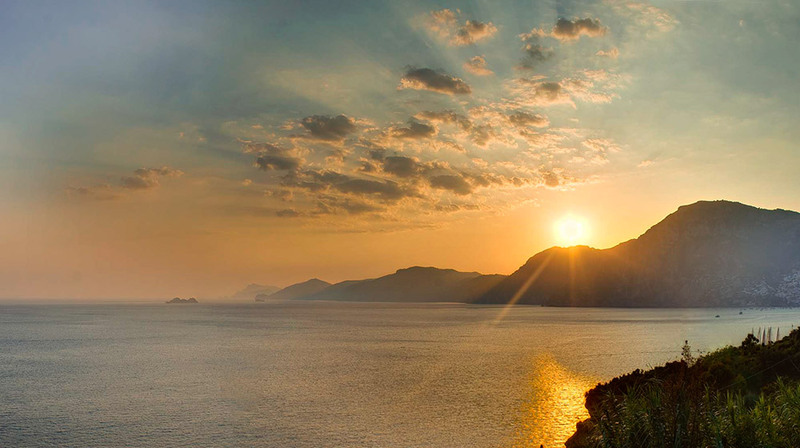 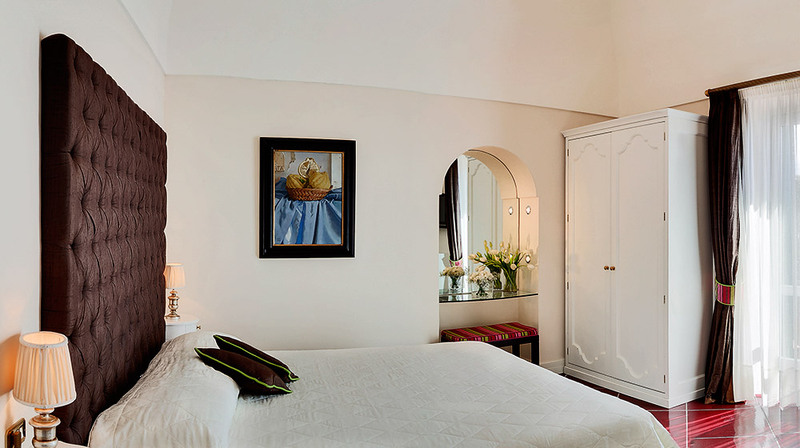 The Villa Zaffiro is located in Praiano, pearl of the Amalfi Coast, between the splendid cities of Amalfi and Positano. 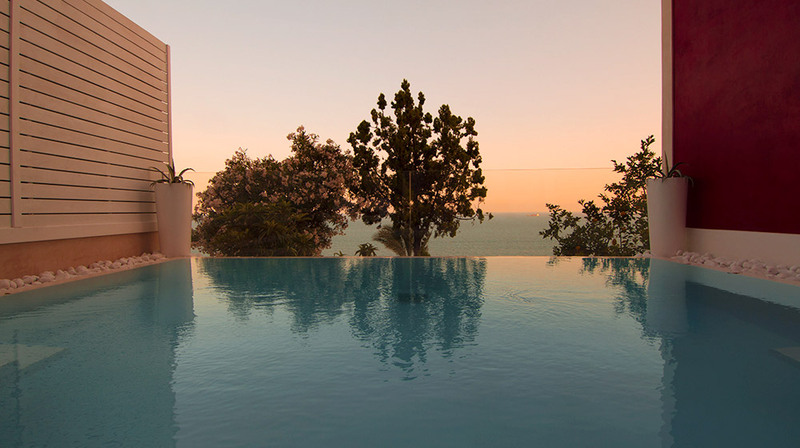 In panoramic position, the Villa offers incomparable views of the sea and the coastline, from which is only a few minutes walk. 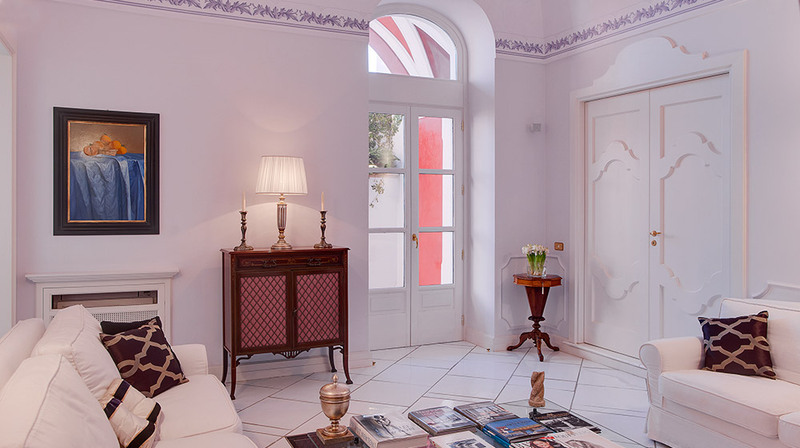 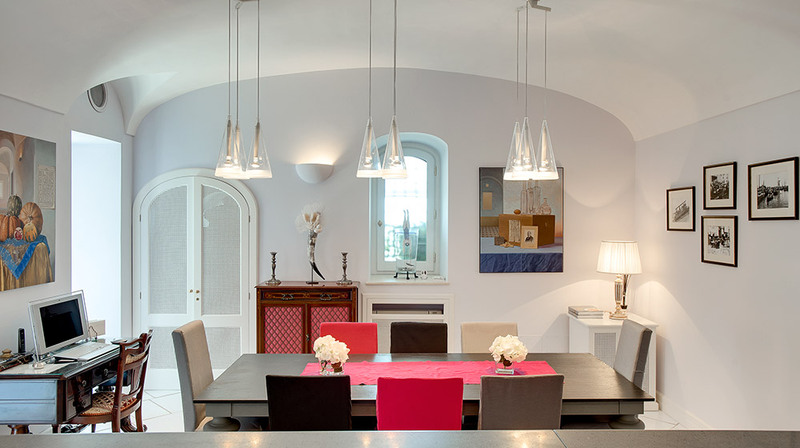 The elegant building was completely renovated into a prestigious villa, where old and new blend harmoniously together, and where no detail has been left to chance. 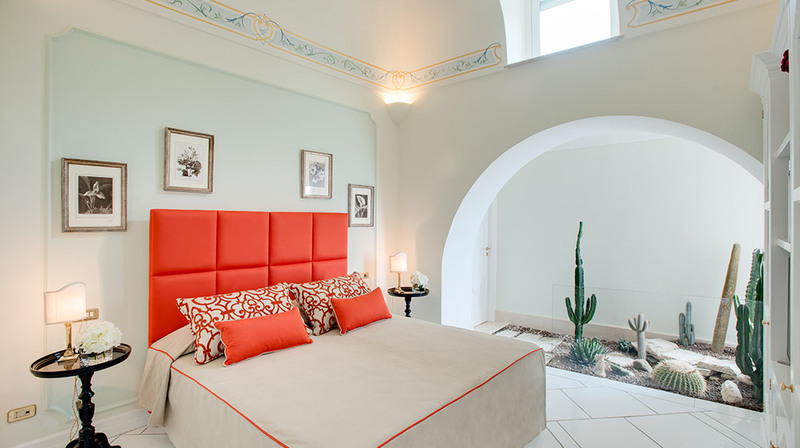 The hightest quality furnishings include design elements by Dolce & Gabbana and Philippe Starck and traditional vaulted frescoed ceilings. 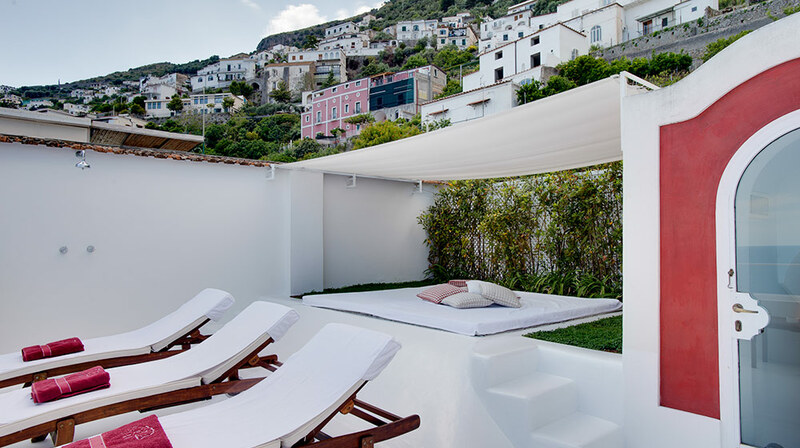 The Villa is spread out on three levels connected by an elegant white wooden staircase, which ends to the roof terrace used as a relaxation area, for a total of 350 square meters. 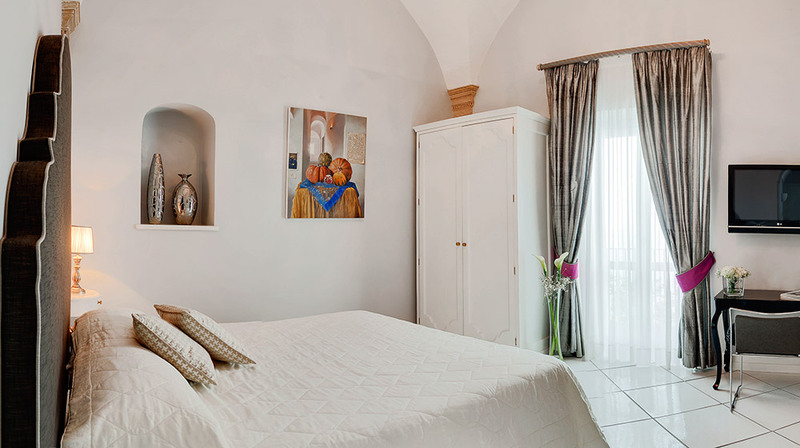 The Villa features five luxury suites, all decorated with a different colour and equipped with private bathroom, satellite TV and air conditioning. 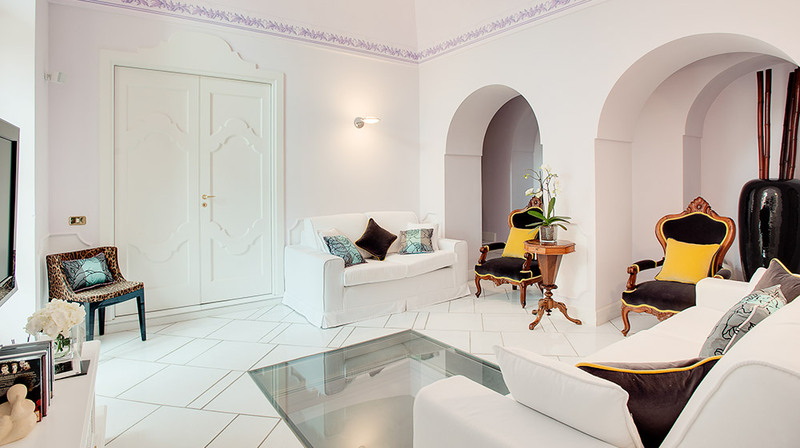 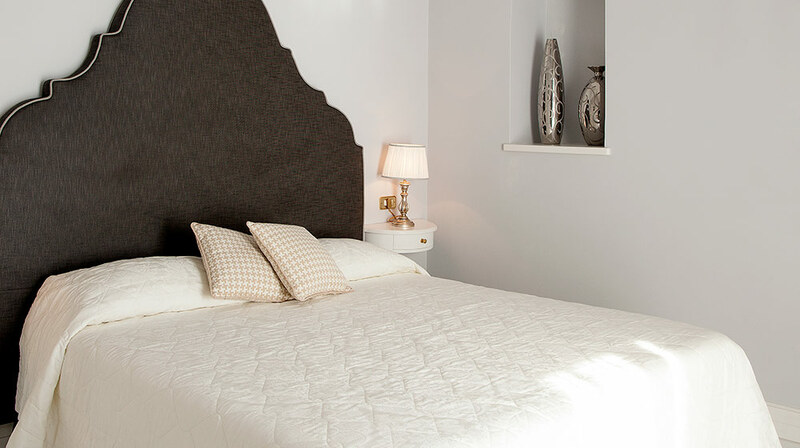 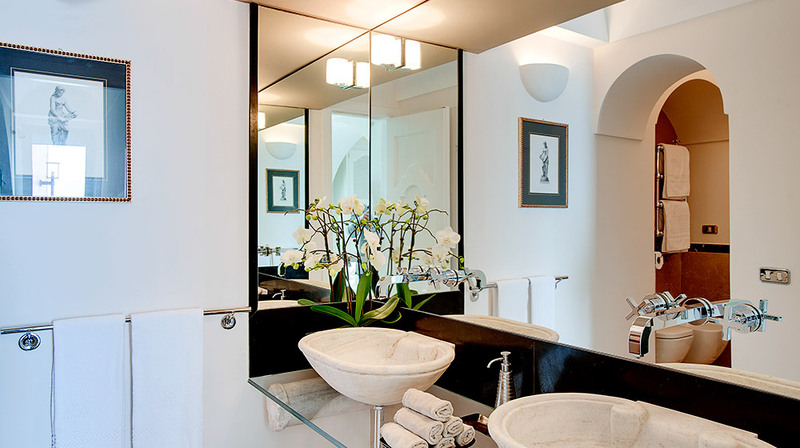 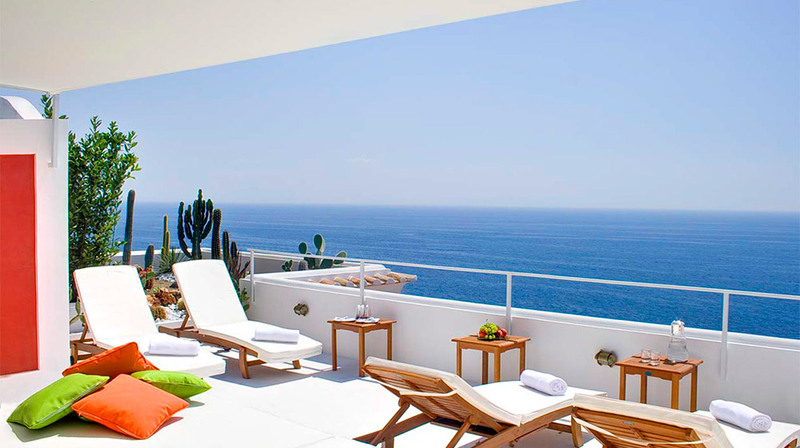 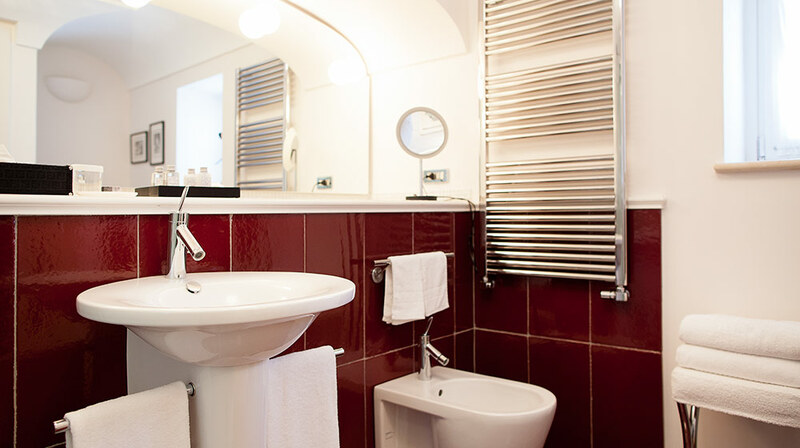 The Suite located on the ground floor boasts sea view, bathroom with bath and access to the main patio. 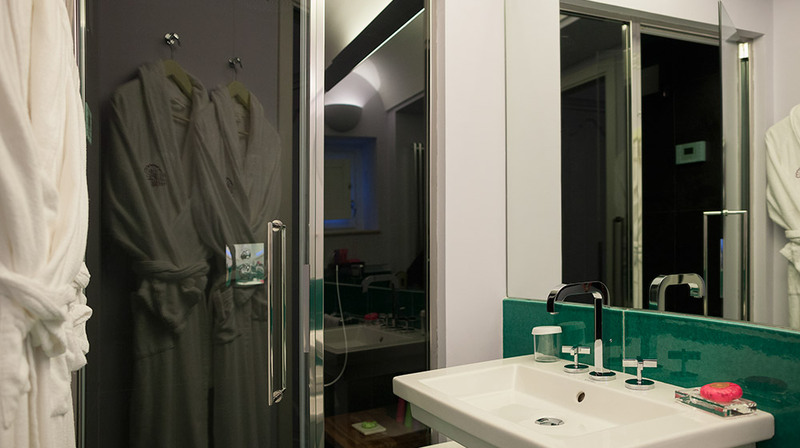 The other three suites are on the first floor, two of them have a bathroom while the third has a private bathroom along a short corridor. 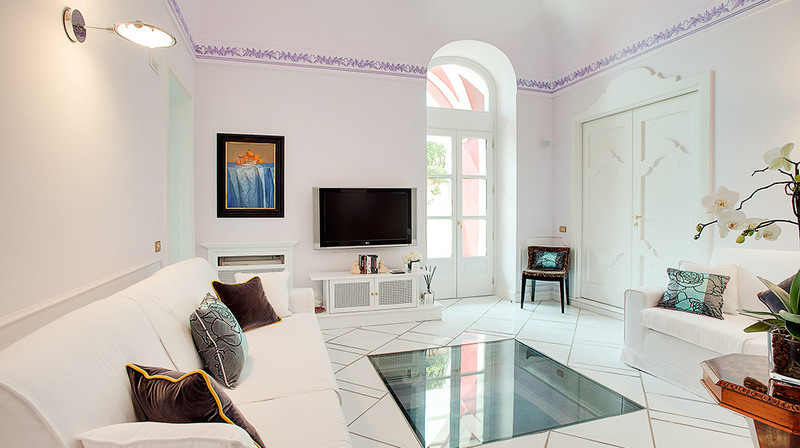 The Villa provides several common areas where you can relax and enjoy privacy and nature: a sitting area with table, sofa and a large flat screen television, a second living area room with sofas overlooking the pool, a courtyard with tables and chairs, a patio and a roof garden furnished with sofa and cushions. 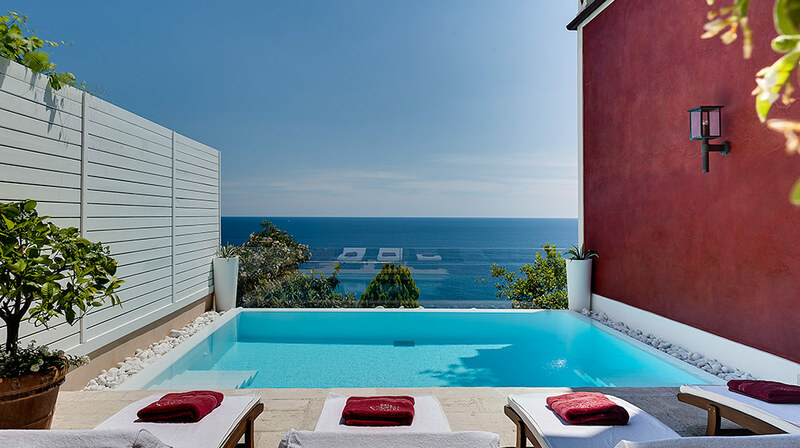 The nearest beach is only a few minutes walk. 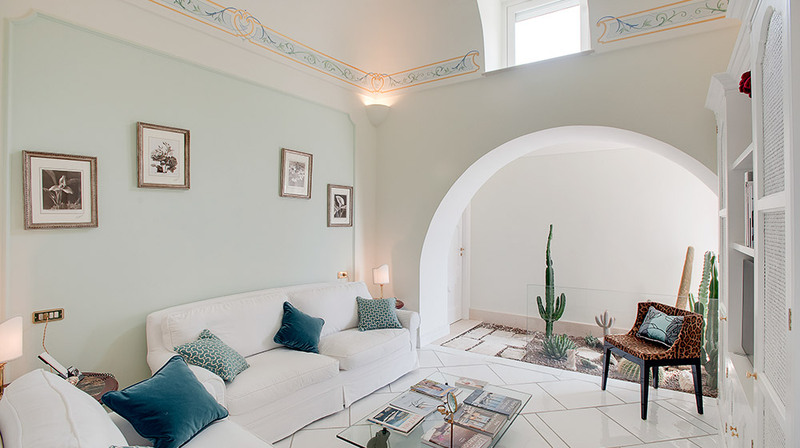 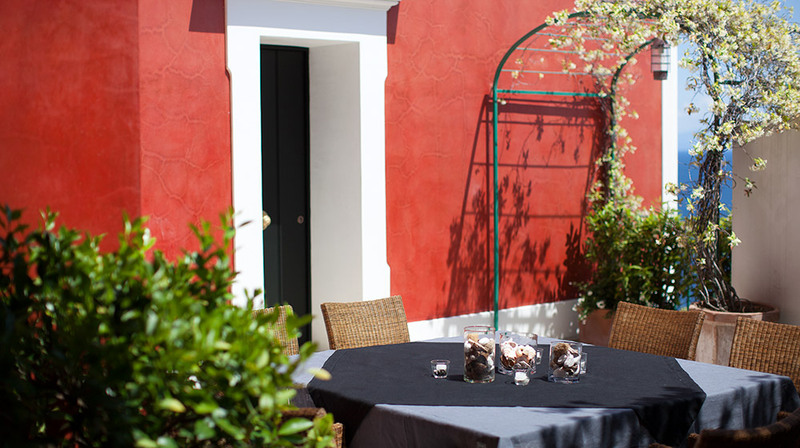 The villa has two comfortable pools: the brand new outdoor swimming pool with its elegant furnishings and an indoor swimming pool, surrounded by colorful frescoes and equipped with jets and chromo therapy.